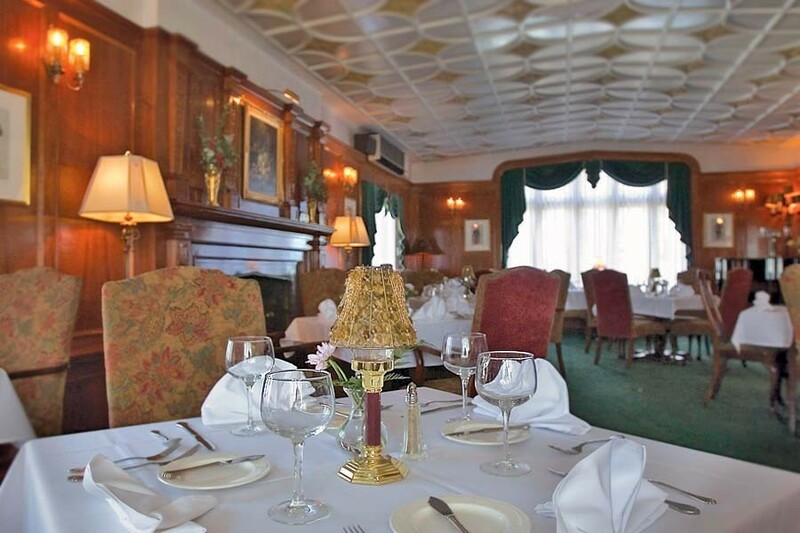 Featuring mahogany paneled walls, a black marble fireplace, antique furniture, a baby grand piano, and space for up to 50 the Devonshire’s ambiance is rich and warm – the perfect venue for a friendly gathering, such as a family or small class reunion. With a fireplace and three walls of leaded-glass overlooking Medovue’s gardens and stretch of the Grand River, the Thames is a bright and airy dining room perfect for 24 attendees. The Oxford room’s stone fireplace, terrazzo floor, and windows overlooking the terrace and gardens along the Grand River make it ideal for intimate gatherings and smaller groups of up to 16 guests. Up to 32 guests at one time can enjoy the Midford room’s view of Medovue’s formal gardens. Perfect for medium to smaller events. Medovue Estate’s crown jewel, Medovue Hall banquet facility can seat up to 200 guests or as few as 50. The marble foyer, expansive windows, double chandeliered ballroom, and large outdoor patio make this the most unique, flexible, and elegant facility you’re going to find for your event, anywhere in the Lansing area. For more information on The English Inn Restaurant & Pub’s Lansing conference facilities, please visit our Special Events page.